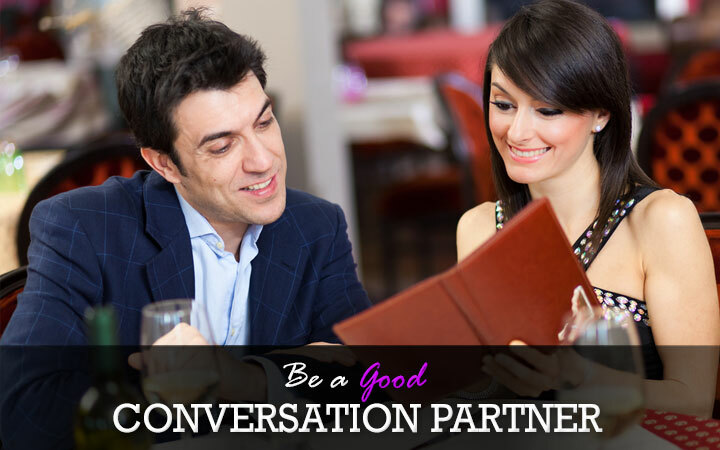 Being a good conversation partner is important. Having good social skills helps you to break the ice quickly. It helps to know the other well. It is not just about being a great talker but have a keen sense to listen to the views of the other person and be actually interested in him/her. Curiosity: You need to be curious and interested in the other person before you initiate a conversation. This helps you not just talk but listen too. Respect: This is another important aspect of being in conversation with someone you like. You develop respect and it is mutual. Genuine interest in knowing people: You need to be interested in people and their lives to hold a meaningful conversation.You need to have a desire to share knowledge, learn from others or just enjoy a meaningful conversation; you are the right conversation partner. Positive attitude: Have an open mind and positive attitude about relationships. Even if the other person is shy or an introvert, you need to break the ice and get to know the person. It will help you discover an interesting person that maybe is hesitant initially.